Looking for alternatives to ContactWorld for Service? Tons of people want Contact Center Infrastructure software to help with automatic call distribution (acd), call routing, and call recording & playback. What's difficult is finding out whether or not the software you choose is right for you. We have compiled a list of Contact Center Infrastructure software that reviewers voted best overall compared to ContactWorld for Service. Based on reviewer data you can see how ContactWorld for Service stacks up to the competition, check reviews from current & previous users, and find the best fit for your business. 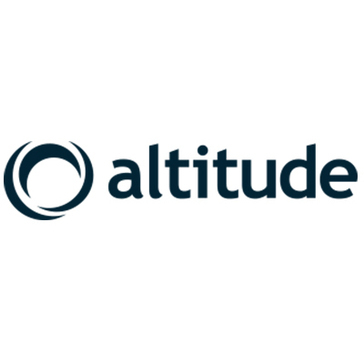 "Super intuitive software: I have been using Talkdesk for about a year, but I have had contact center roles at other companies which used different software in the past. Talkdesk is by far the most intuitive contact center software I've used. The interface is easy to navigate, it integrates seamlessly with Zendesk, and I find that a lot of the time I can answer my own questions just by taking a moment to explore the settings and options. I can also easily monitor the productivity of my team, and rarely have complaints about call quality. " "The All In One Simple Solution: The transparency into data and how easy it is to look into the breakdown of what our numbers mean in reference to calls answered, times not available, after hours and the percentage of where each fall. Being able to also quickly swap out the IVR and upload new recordings is such a breeze. I also enjoy being able to show our Activity Feed live on a huge 55 inch tv and still view it on my desktop under one log-in." 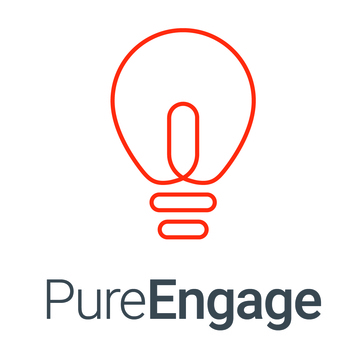 "Genesys PureEngage - Top notch customer experience. : Genesys provided various integration and customization methods, depending upon the requirement. All the components have it's own complexity and intelligence. Like Genesys WFM is the best product in the market for scheduling, reporting and forecasting of contact centre. Routing capabilities provide abundant types of routing strategies. Customers can have self service analytics by using Speechstorm reports. Like that Genesys provides suit of different components performing different functions for best customer experience. " 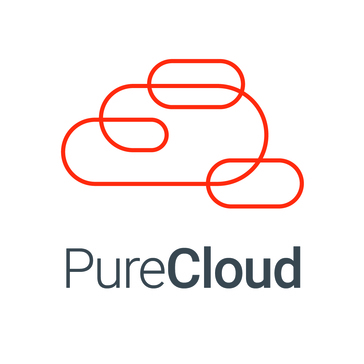 "Purecloud user review: This product is able to help the user save a huge amount of cost, simply because it is able to bypass the need to host more telephony hardware and servers. I also like the user interface, it is relatively user-friendly and the short guide is quite helpful when you click on the ? sign, but this can be improved as well." "Genesys PureConnect, closer to customers. : Genesys PureConnect, is an ideal support tool, to provide all kinds of web solutions, thanks to this tool you can have a closer relationship, thanks to the different features it has, in this way, you can provide different support options, and take clients, a more complete answer to all your needs, we can provide support via email, phone, live chat, and many more options, to give a follow-up, clear and timely in each case, plus this tool, is compatible with other CRM software, which makes it more versatile in every way, another point in favor of this application that I like very much, is the creation of support groups, which allows a multiple solution in more advanced cases, with different opinions, at the same time." 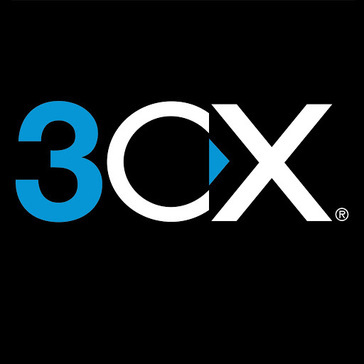 "3CX: The system is easy to use and very cost effective. The one year free trial made this decision simple"
"InContact - Powerful cloud solution that fits all of your needs: I like the strong protection of not having to maintain my own hardware and knowing that inContact is always upgrading their software, ensuring multiple location redundancies, and always looking out for its clients. I have learned to do many valuable things with their software, such as allowing the scripting platform to look at incoming phone numbers and route them based on the origination place. " "Works Great: Avaya works great when used on a strong wifi or mobile connection. I do sometimes have problems with it being quiet with some clients where I tell them ill call them back from my cell phone. It does happen, but rarely, otherwise great software." "Cisco UCC: The highlight of using Cisco UCCX is the high customization with the product.It's easy to grow and scale the product as needed and the integration with CUCM is seamless. The program has auser friendly programming interface. Once you understand the logic it's simple to create scripts to do what you need. Once you create scripts, it is very easy to duplicate them and edit them as needed. The system is also pretty reliable as far as uptime. The system generates great reports to help you keep track on call stats for your agents. " "Quality as a Rule: The way the team is always willing to help our clients, when our final clients have many requests, the support team is always ready to solve any request. In form of giving us the reports we need, or advising us of how to tune properly the platform to reach as many calls (in outbound) "
"Ease of implementation and use + quick switch away from Zendesk: Coming from Zendesk to Dixa, the day-to-day job has now become much more enjoyably for our 50+ Customer Care agents. Dixa is fast, easy to use, intuitive ... things that can't be said about Zendesk. The omni-channel approach that Dixa is taking has already made the everyday job faster and easier for the agents. Setting Dixa up is a breeze, but at the same time there's a lot of advanced features that you can take advantage of. All in all we haven't regretted the move for a second. We implemented Dixa in 8 countries over a time period of less than one month. Dixa assisted with the training and we did the setup ourselves. Dixa is also very responsive when we need help...our agents use the in-Dixa-chat feature if they have questions. If we find bugs, they a quickly fixed. We would recommend Dixa to anyone looking for a tool that support the way you work! " "Great UI and features: Dashboard and Ticket Management. Dashboard shows all LOBs and it's easy to keep tracks of them. Tickets have many features like merge, scenario management and notes. All different tickets are merged together and it's easy to manage all tickets in one single email. Its online portal is also great. Customers can view their ticket and reply, close or add someone else to the ticket. Assigning LOBs is also great. " 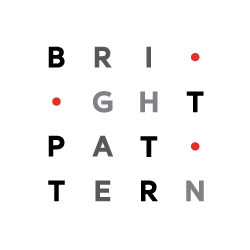 "Bright Patterns Review: I really like the layout as it is very easy to understand and utilize. I also like how you are able to see the other users. It is very good at telling you your voice quality. It also works effectively as a system and allows for easy utilization as well as streamlined productivity. The layout works extremely well. " 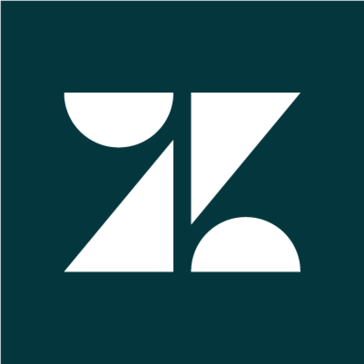 "calls by zultys digital technology: In the search for a digital telephone tool that is allowed to connect to a power station that contains support for the 24 hours available. 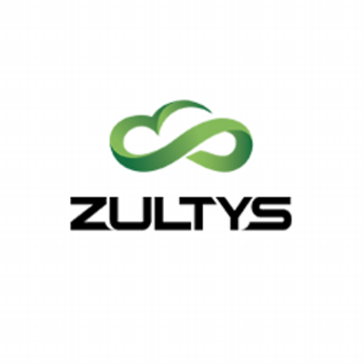 The Zultys MXIE solution was found, allows you to connect remotely to a central office and simulates the connection of a telephone extension that allows you to serve as a receiver of calls to execute telephone calls. The tool gives you the option of associating in different ways, in my administration I execute the tool as: internal associate, so that it associates the numbering keys through the screen and to be able to execute the call through a microphone connected to the PC"
"Quick deployment 100% cloud contact center: The overall user experience is very good. The setup is quick and easy to follow. The contact flow can be visualized in a form of action block. I can easily develop my call flow by drag and drop. With Amazon S3, call recording is ready to integrate with Amazon Connect. Must mention, great and beautiful integration with CRM like Salesforce. 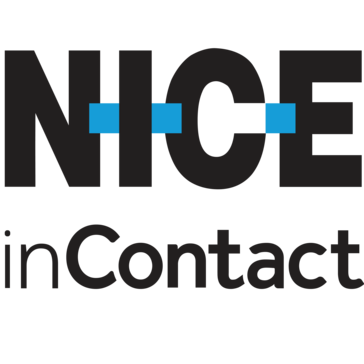 I created my cloud contact center with Salesforce CRM with recording feature just in 2 days! What a amazing platform." "Easy to use: I like this feature for when I need to talk to customers about anything they can access this and get anything solved." "Flexible and Adaptive ACD Platform: Great tool for Multi Location Call Center Services Management"
Telax offers the leading Cloud Contact Software as a Service solution (CCaaS) combining the most robust suite of features with carrier-grade reliability, and world class deployment and support services. Telax also enables Communications Service Providers to enter the lucrative Contact Center market, with innovative Turnkey Sales & Marketing solutions that allow them to start selling, now. "Extremely Dedicated Vendor: Development flexibility, they are wizards and can turn around fixes or new features in an impressive time-frame. In general, they are stellar to work with. I haven't run into a time where they are hard to reach or someone hasn't been able to get me an answer. It's like every person I've worked with there acts as an owner of the company." "UJET, the first Smart Cloud Based Telephony Provider: UJET works best for us for 3 reasons: 1) it's reliable in it's providing of high quality voice and does NOT go down, 2) UJET provides a smart customer and agent facing interface that gives more information faster than ever before, and 3) UJET is easy to us and doesn't require constant administration." Justcall is a VoIP business phone system for Sales and Marketing teams around the world. "Great for starting out- easy to integrate and use: JustCall is fairly simple and I can forward all calls that come in to my work cellphone. Being able to answer calls that are routed through our main number is handy for when I am on the go. You don't pay for inbound calls, only outbound so it saves on costs some that way. 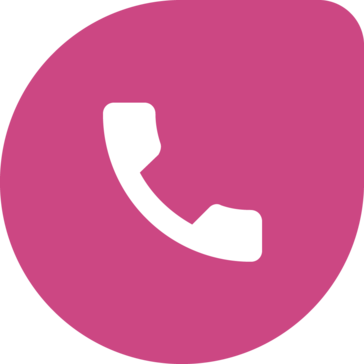 I have JustCall integrated with Pipedrive and it keeps record of all of the phonecalls, voicemails, and records them for records. You can upload your own voicemails, hold messages, and use a voicemail drop. " Hi there! Would you like help finding solutions similar to ContactWorld for Service?